Calling all plant lovers. 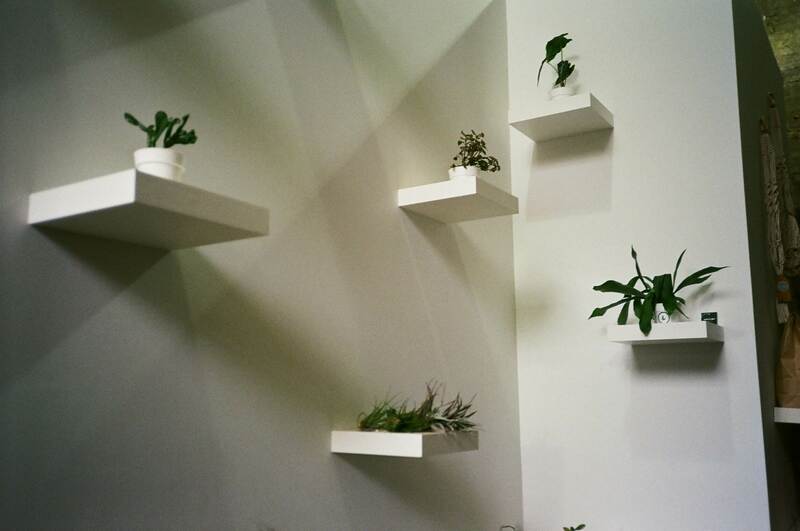 Water & Light Plant Shop opened in Ridgewood, New York earlier this summer (June 1) to bring you an Instagram-worthy experience of picking out the perfect houseplant. We met with owners, Roy Paar and Milana Naumenko, to ask them a few questions about their background, the neighborhood, and any tips on planting. How did you first get into working with plants? Milana: Growing up, my parents always had houseplants, but I can’t say that I was a plant person. Neither Roy nor I worked with plants before we opened our shop. We had some plants in our apartment and we did a great job taking care of them, but that’s all the experience we’ve had. Roy: I grew up helping my Dad out in the yard, cutting down trees and planting gardens. I’ve had a few houseplants throughout the years but never anything like this. Milana definitely had the better plant gang when we met. How did you decide to turn it into your own business? We were sitting around one Friday night, talking about work and how boring it was, and what kind of lifestyle we wanted. We threw around some ideas for an Instagram account to develop a community of like-minded people. We talked about a travel-related account, a surfing-related account, and eventually, plants came into the conversation, and we both knew immediately that that’s what we wanted to focus on. One thing led to another, and we just sort of decided to try our hands at a plant shop. We got extraordinarily lucky with the retail space (we live in the building as well). 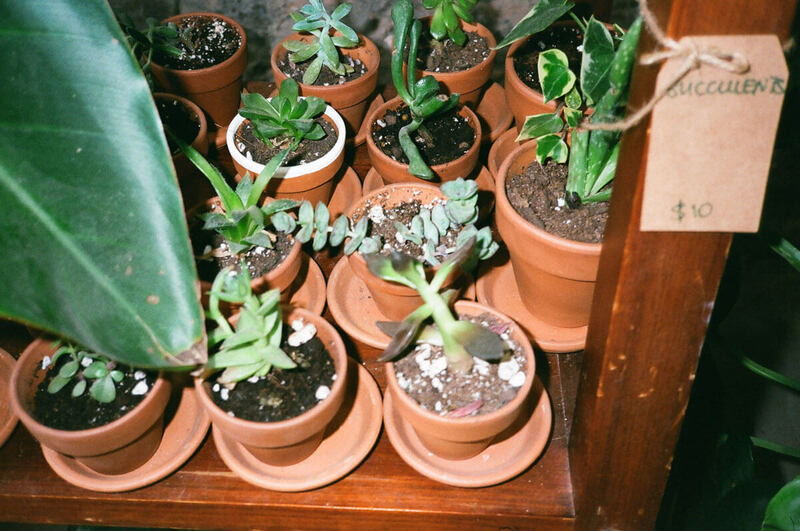 Any tips for keeping plants alive through New York’s seasonal changes? Watering requirements normally change based on the season. Some plants are good with being watered once every 2 weeks in the winter, but in the summer, they will require weekly watering, sometimes more. Additional light in the winter won’t hurt since the days are short, and plants don’t get much daylight. Keeping the plants away from the windows is important; some plants do not like the draft. We used to have a lot of the plants that we sell in our shop in our apartment, and we learned that it’s important to feel your plant and move it around a bit to find a perfect spot for it with the right amount of light. 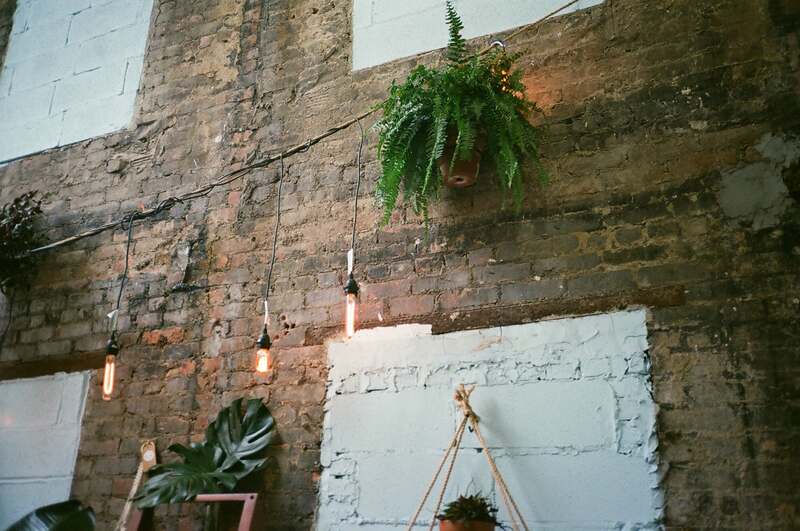 What are your recommendations for someone who is a novice in houseplant ownership? Get easy-to-care-for plants first. 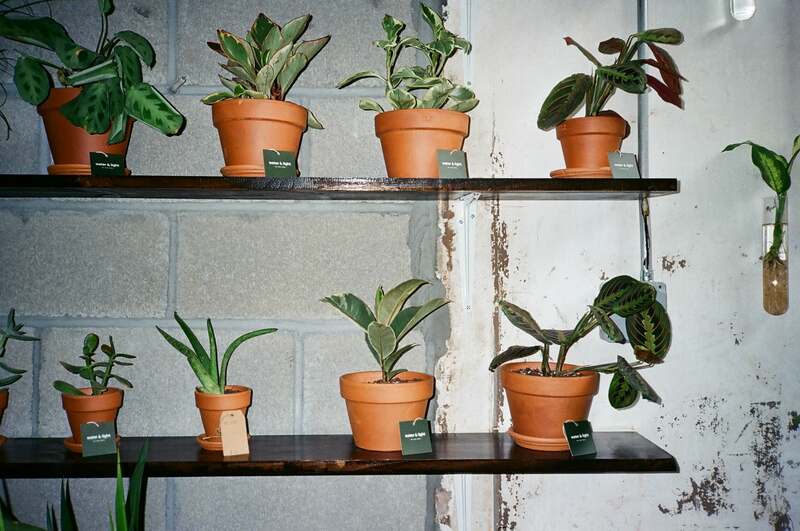 Rubber plant, pothos (Devil’s ivy), ZZ plant, and snake plants are some of the easiest plants to take care of. They don’t require much light or water and are perfect for someone who is just starting. These plants will do just fine in any NYC apartment. What do you love about Ridgewood? Milana: Everything! I’ve been living in Ridgewood for almost 6 years and when I first moved here, it was an undiscovered gem — relatively clean, quiet, friendly, and cheap by NYC standards. Williamsburg was blowing up back then, and Bushwick was on its way, but Ridgewood was this underdog of a neighborhood. It wasn’t hip by any means, and I loved that. At the same time, I loved watching it change. I feel like by opening Water & Light, we have become a little part of that change. Roy: What she said. I’ve only been here for 8 months, but it’s a very welcoming neighborhood and a tiny little treasure tucked away from the city, close to Bushwick. Even in the short amount of time I’ve been here, I’ve seen handfuls of new shops and hangouts pop up. Because they will make your home a better and happier place. What’s your favorite plant right now and why? Milana: I am a huge fan of Alocasias (Elephant Ear). I love the vibrant green color, velvet texture of the leaves, and how elegant the plant looks. I also love Hoya Indian Hindu Rope, mostly because it looks very different from other plants I’ve seen. Roy: I can’t get enough of the Monstera plant. It’s super popular, but I like it because it grows so quickly. Search on Instagram for some time-lapse monstera clips – those things are almost like animals when you speed up the footage. Plants are so cool! Visit Water & Light Plant Shop every Friday to Sunday from 11 a.m. to 7 p.m. Roy and Milana are usually there for a chat. If you have an inquiry, email them at info@waterandlight.nyc or shoot a text to (347) 471-1026. Don’t forget to stay updated by following them on Instagram, Facebook, and Pinterest. Seattle-based photographer Ellie Lillstrom has a stunning perspective on the city she calls home.